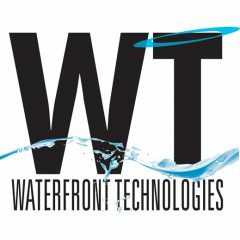 Marketing | Waterfront Technologies, Inc.
What is your Brand position in the Global Market? Waterfront can define your target market, craft your message, improve your ROI. We work with you to assess your goals and desired results to then create a comprehensive marketing plan which becomes the road map to success. Topics such as company history, market analysis, competition, current brand position and promotional needs are explored. The plan concludes with recommended implementation tactics. No two plans are identical—every client need is unique. We offer management services no matter how complex your project. We understand the many integrated parts of a project and offer fluid supervision that delivers a project on time and within budget. Waterfront provided Logo Design and Marketing Services for John Stevens LTD that accentuate the restaurant’s long, storied history. Designing coasters, direct mail pieces, display ads and a website that incorporated the people and places reported through the years to add color and appeal to the John Steven LTD and its marketing materials with period-appropriate language and fonts used to stylize the message.